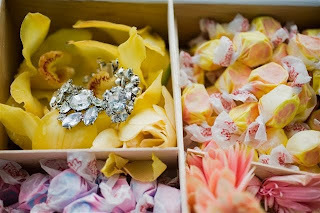 Dellables and the girls at ILoveLollipops saw fit to lay some Diamonds on Orchids, and for good measure, put some colorful candy on the side. Feeling a little overwhelmed in planning your wedding? It can happen. Dellables Floral and Wedding Design will make it fun again! Look us up! http://Dellables.com ALOHA!